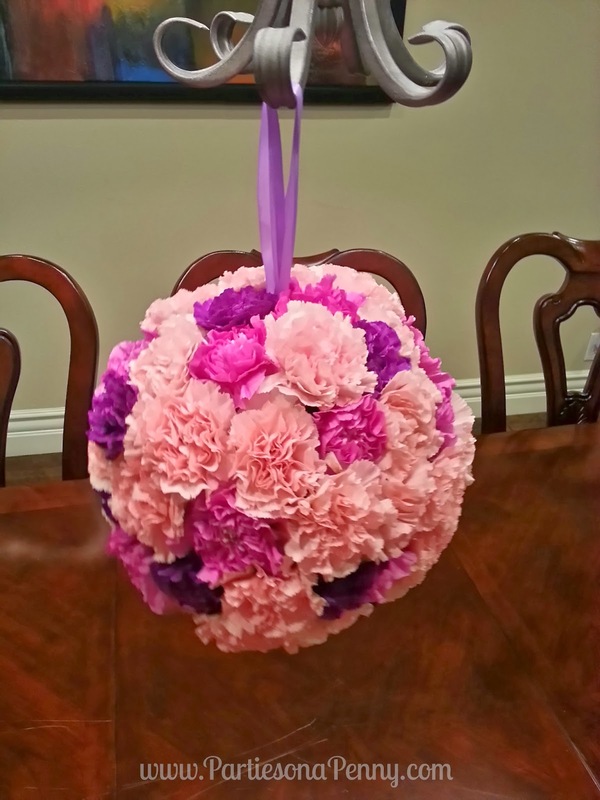 I have been seeing these Pomander flower balls a.k.a Kissing Balls showing up in a lot of weddings recently as centerpieces as well as flower girl bouquets. 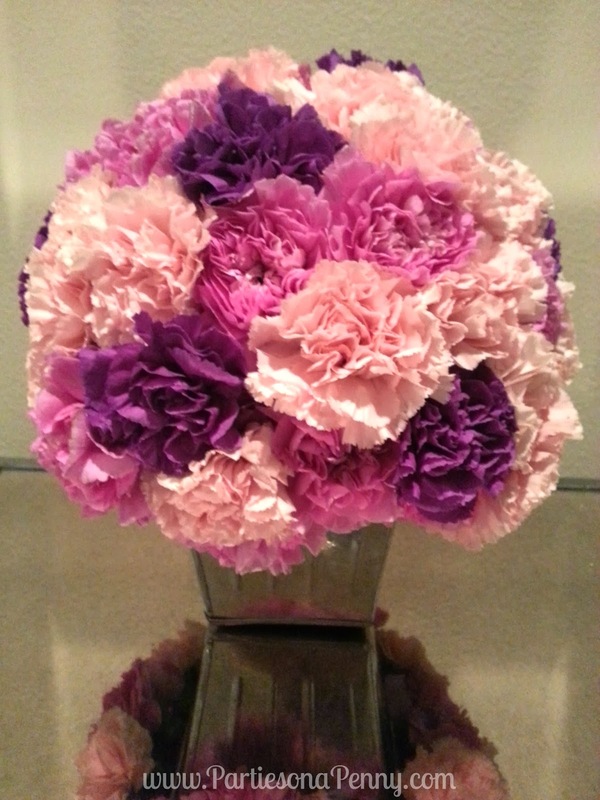 They are also beautiful centerpieces to use for bridal showers or baby showers. 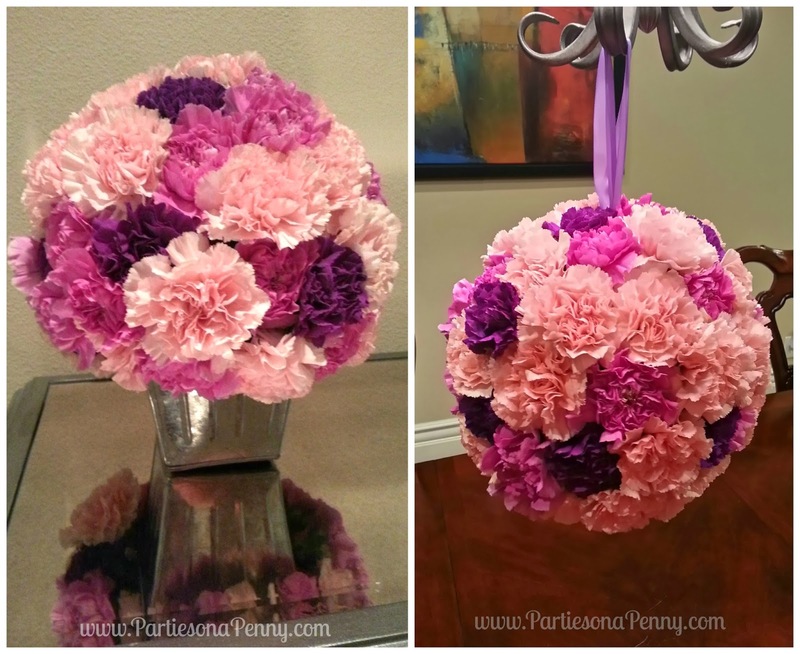 Here is a step by step tutorial on creating your own Kissing Ball with fresh flowers. 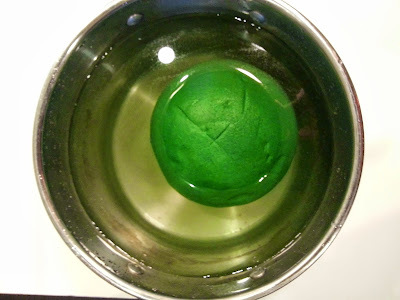 Soak the foam ball in a pot of water until the ball is fully saturated (about one minute). The ball will be very heavy after taking it out of the water. *Make sure to add the flower food to the water so that the carnations last longer. 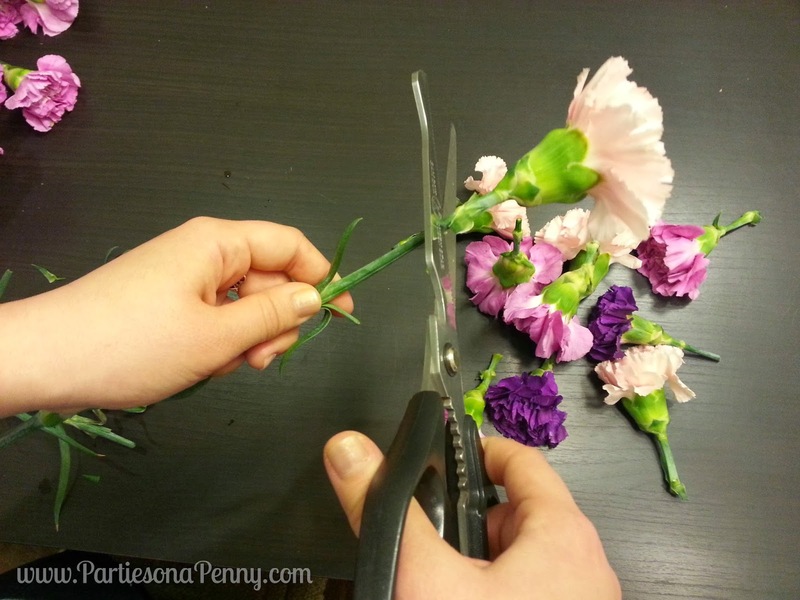 Cut the carnations leaving about an inch of the stem still on the carnation. Make sure to trim off any excess leaves. Start inserting each carnation into the foam ball. 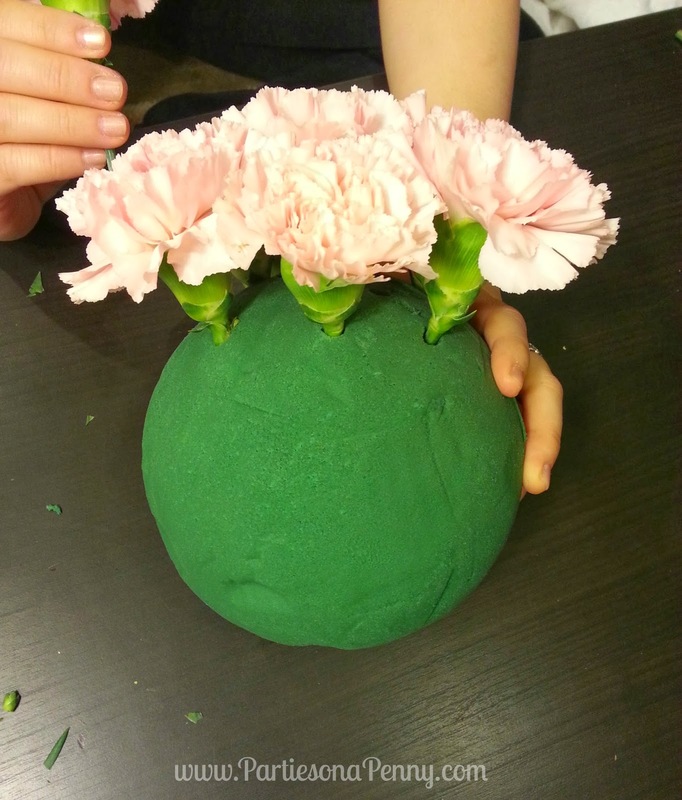 Space out the carnations so that the petals are just slightly touching each other and not overlapping. The foam ball may leak some water, so I would recommend placing a styrofoam plate underneath the ball to collect the excess water. Leave a small open space on the bottom if you are going to place it on a stand or jar. 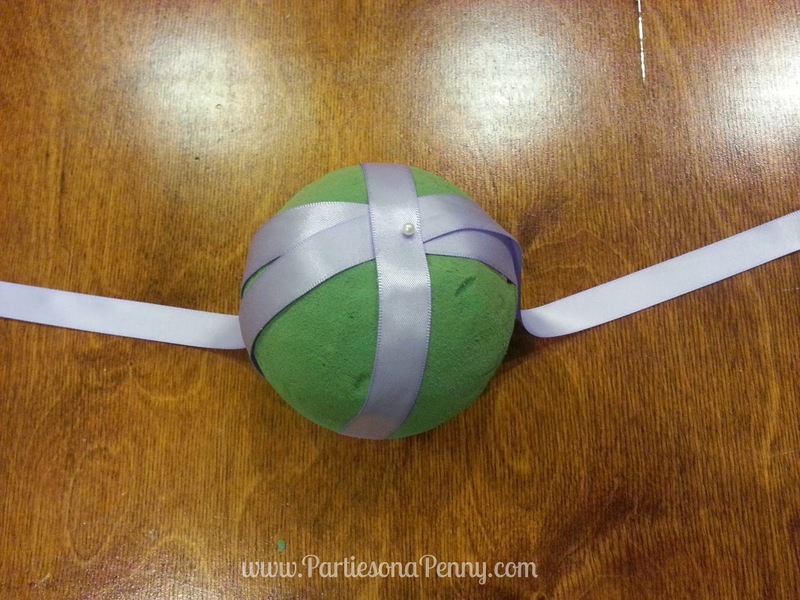 Place the foam ball at the center of the ribbon. 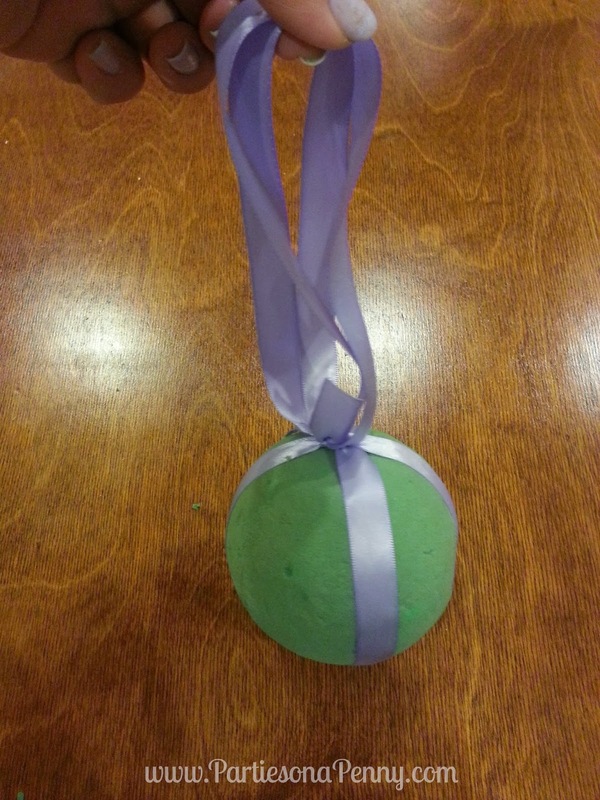 Wrap the ribbon around the foam starting from the top of the ball, then twist the ribbon together at the bottom and secure it with a pin. 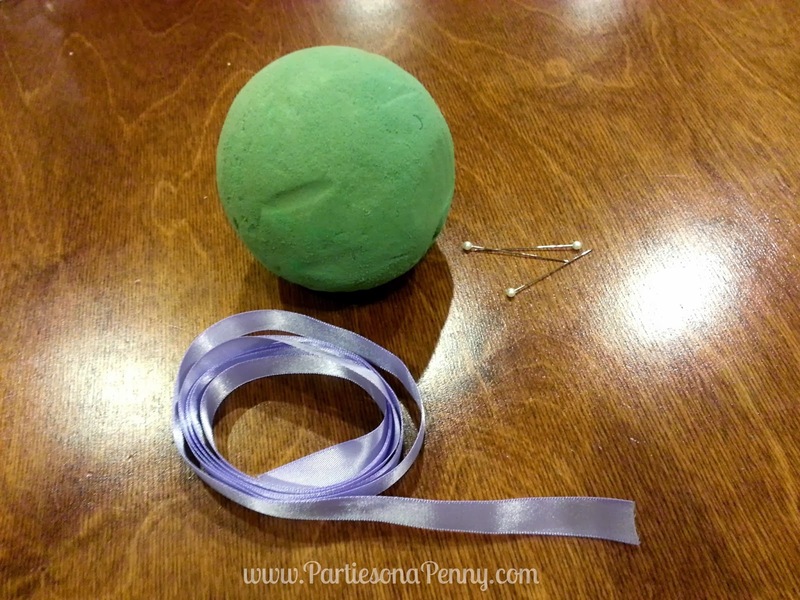 Bring both sides of the ribbon back to the top and tie a knot. Secure the knot by pinning it down with another pin. Just like you would tie your shoe laces, tie two loops with the remainder of the ribbon and secure the knot with the last pin. Bring up the loops together to form the handle. Soak just the ball in the water solution. 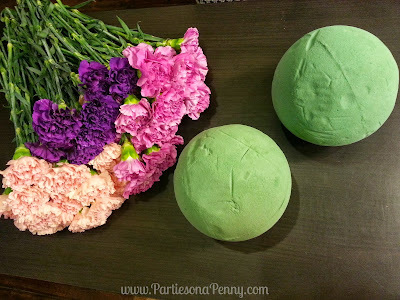 Then repeat steps two and three in the Kissing Ball centerpiece tutorial, except fill the entire ball with the carnations leaving no open spaces. 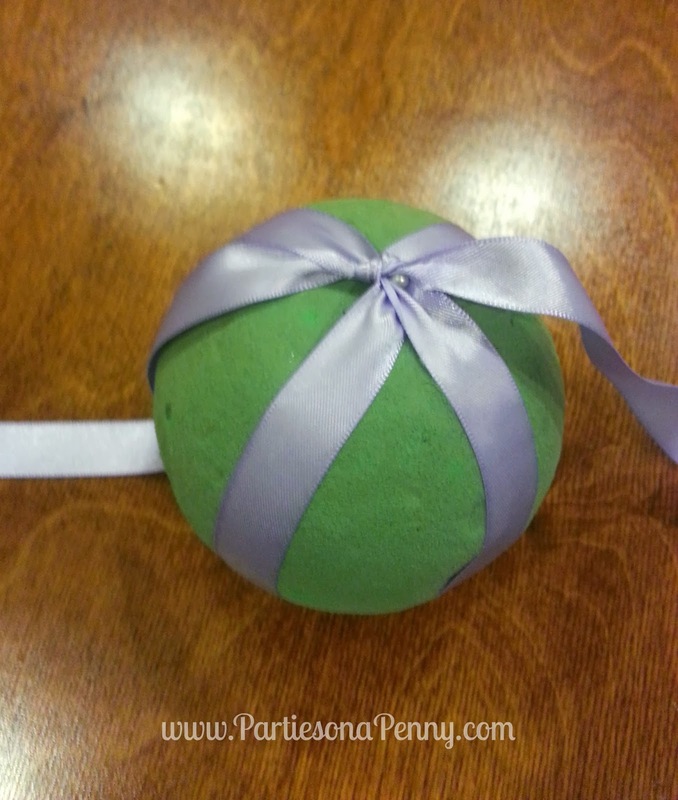 Hang this ball on a chandelier, door or tree. If you use the flower food in the water solution, your arrangement will last for at least 10 days! Ice Cream Cookie Sandwiches are becoming the new craze, at least in California. This dessert is extremely quick and easy to set up and crazy delicious. The best part is that you can make extra and freeze them for future eating. Provide a variety of cookies (store bought or homemade) available for your guests and make sure to have at least 2 cookies (one bottom cookie and one top cookie) per guest. It is best to have soft chewy cookies so that the Ice Cream Sandwiches are easy and less messy to eat. I recommend having at least two flavors of ice cream. Make sure that the ice cream is straight from the freezer so that it does not melt as guests assemble their sandwiches. Use an ice cream scooper to easily place the ice cream on the cookies. Lay out an assortment of toppings for your guests to roll their sandwiches. I recommend chopped nuts, sprinkles, mini chocolate chips and crumbled Oreos. Halloween is my favorite holiday because it is THE holiday where you can go wild with creativity with costumes, decorations and food! 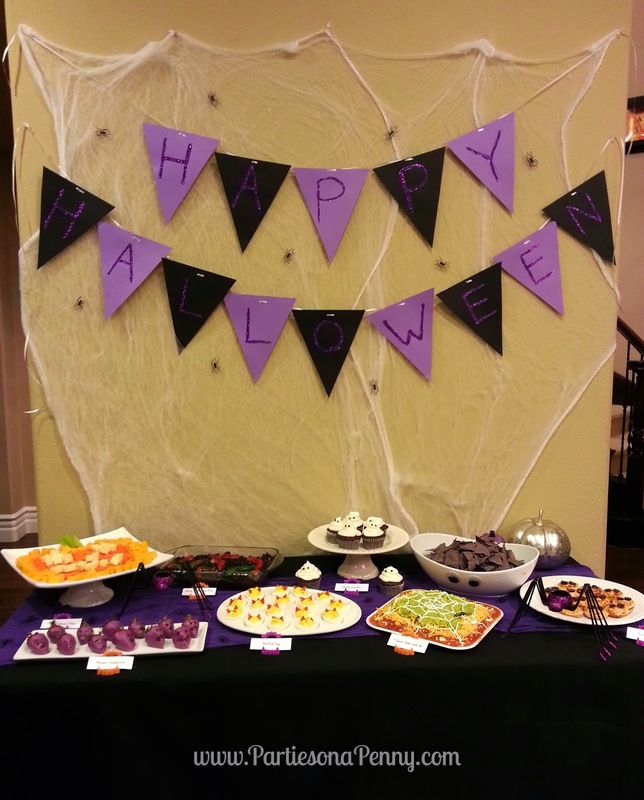 Here is my version of a Halloween Purple and Black Glam Party with a budget of about $70. 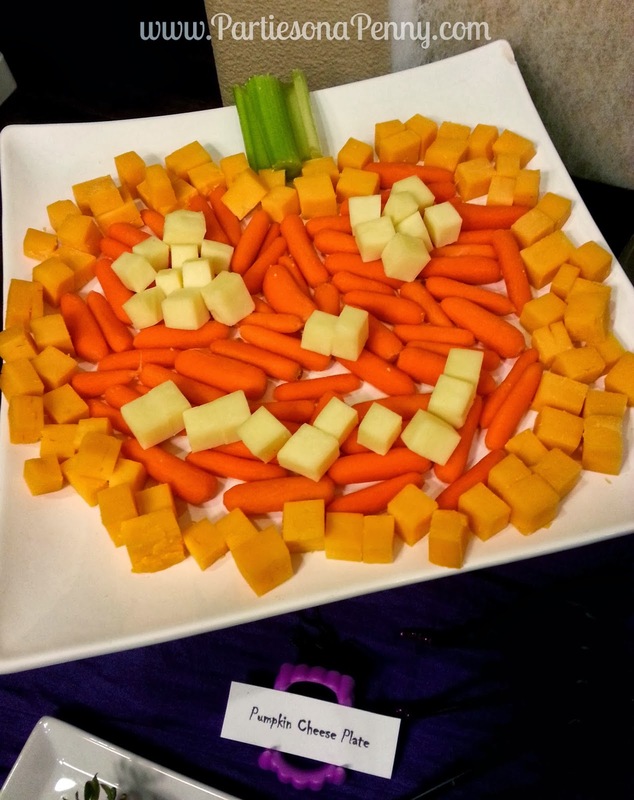 Pumpkin Cheese Plate- I got this inspiration from Pinterest where the pumpkin is shaped purely by vegetables. I revised it a little by adding squares of cheddar and jack cheese. 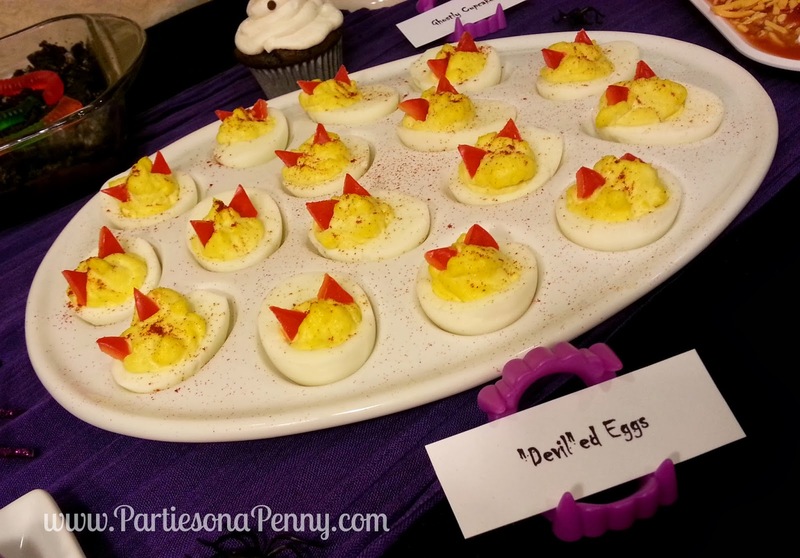 "Devil"ed Eggs- Deviled eggs are one of my favorite appetizers. They are so simple, yet so delicious. To make these Halloween themed, I cut up a small red bell pepper into tiny triangles as devil horns. 5 Layer Spider Webb Dip- A traditional 5 layer dip made with refried beans, sour cream, salsa, shredded cheddar cheese and mashed avocados. Made this with a Halloween twist by pipping sour cream into a spider web and adding a fake plastic spider. Serve the dip cold or hot (I prefer cold) with blue corn tortilla chips. 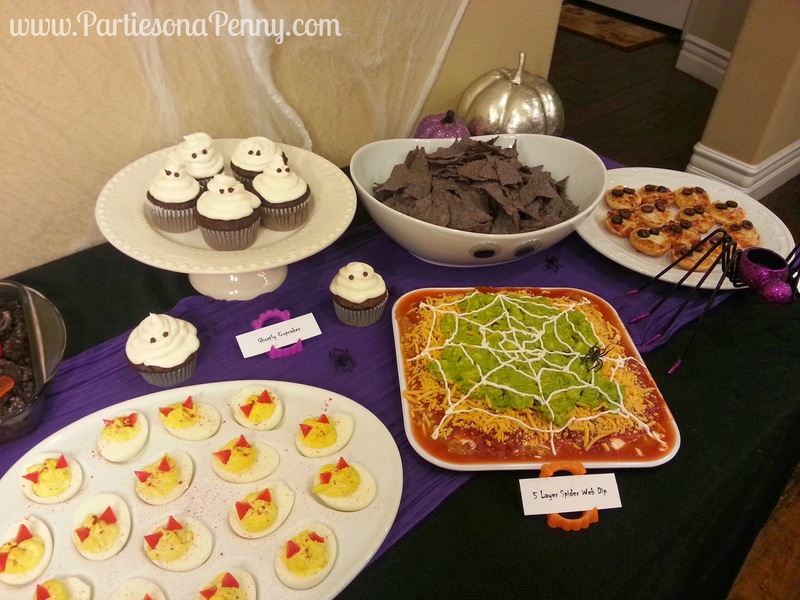 I added plastic sticky eyes to the chip bowl for added spookiness. 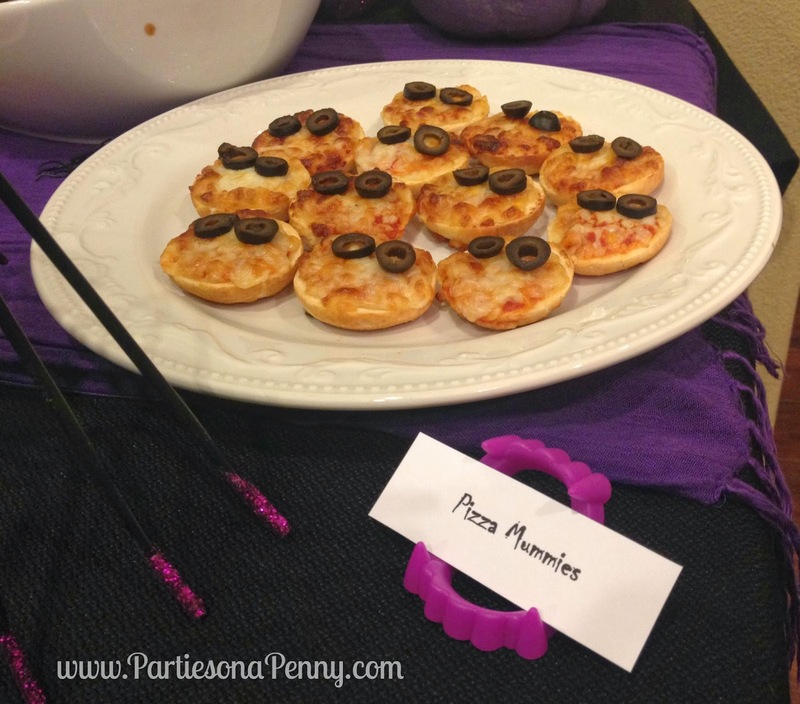 Pizza Mummies- Made from Bagel Bites and sliced black olives. 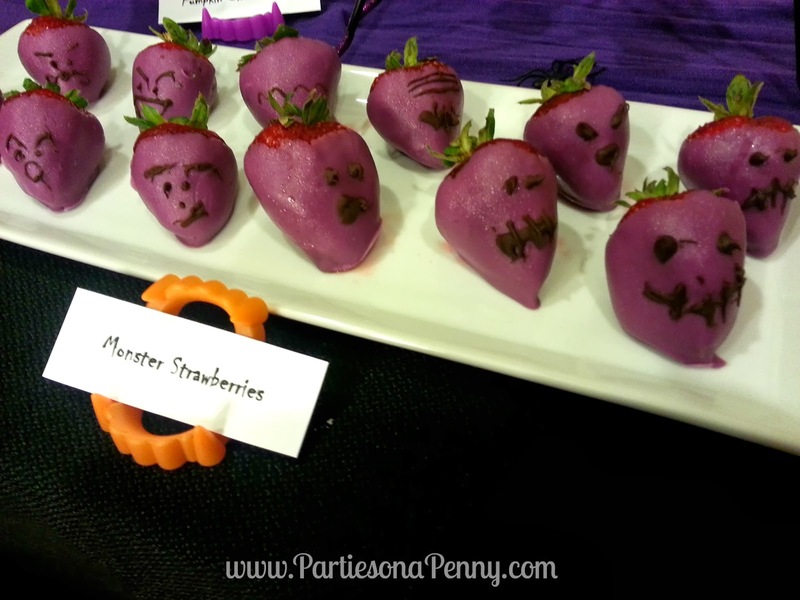 Monster Strawberries- Chocolate dipped strawberries using lavender colored candy melts with pipped chocolate monster faces. 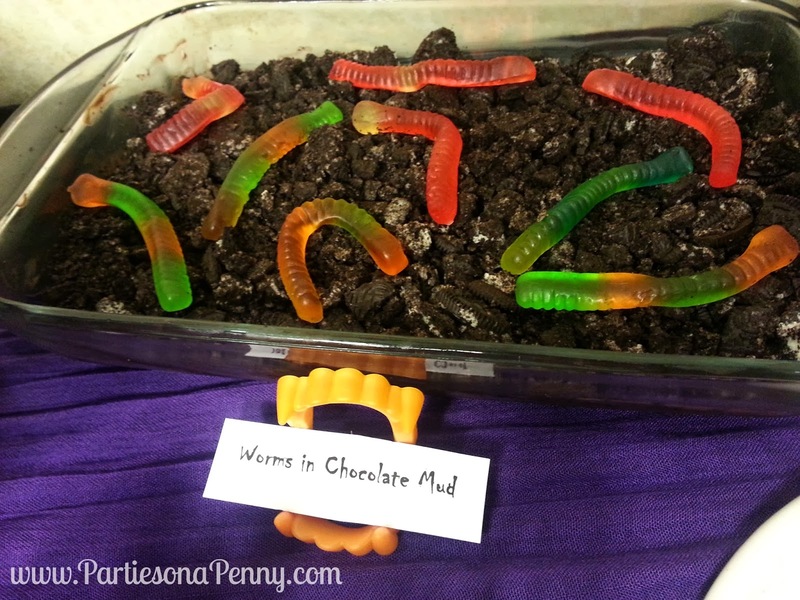 Worms in Chocolate Mud- This dessert definitely tastes better than it looks. The chocolate mud is made from rich chocolate pudding and crumbled Oreos then topped with gummy worms. Ghostly Cupcakes - I cheated on this dessert by making the chocolate cupcakes from store bought mix, but made the cream cheese frosting from scratch using a recipe from MarthaStewart.com VIEW RECIPE, Make sure to pipe a small mound of the frosting in the center of the cupcake then pipe the frosting around the mound to form a ghost. Use mini chocolate chips to form the eyes. 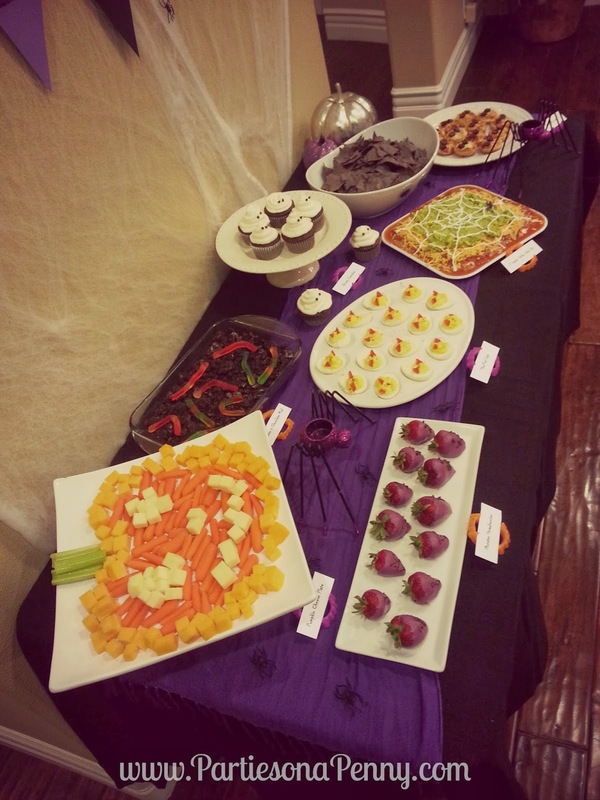 I spent a total of $40 on all the ingredients for the appetizers and desserts. 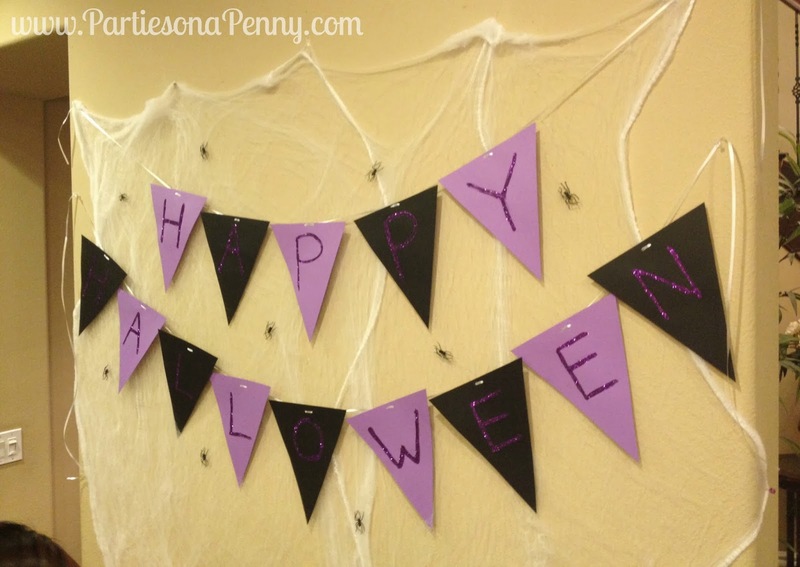 Banner and Backdrop- Bunting banner created from colored construction paper I had in my stock of paper goods. I didn't have time to cut out individual letters so I used glue and loose purple glitter for lettering. The backdrop is made from white cotton spider webbing and plastic spiders.